NES Bionic Commando (USA) in 13:21.9 by nEilfox. 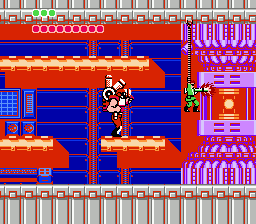 Author nEilfox's second contribution to Bionic Commando features inhumanly fast grappling and swinging. This run is an improvement of 3.32 seconds over the previous run due to better optimization and a new trick in area 7.